Entrepreneur interviews Basel Talal (Regional Director of Radisson Hotel Group) on the company’s expansion in Saudi Arabia. Forbes listed Radisson Blu Anchorage Hotel, Lagos Vl as the best place in Lagos to stay, dine in and ideal place for business travelers. 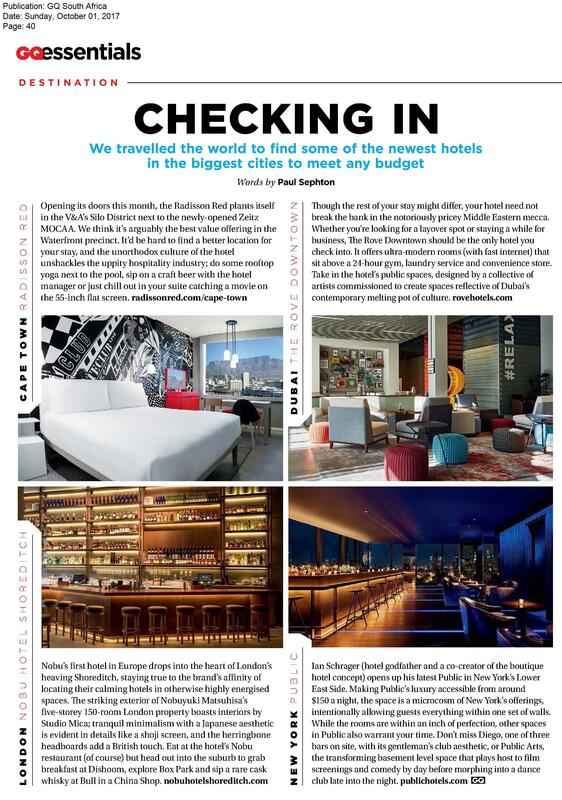 The Telegraph recommends the Radisson Collection Hotel, Strand Stockholm for your first break of 2019. Glamour: #Signtember: Show your support of deaf awareness by learning sign language! The Telegraph: What’s the value of values in business? IOL: #BluJoBurg sets the city blu! Arab News talks about the appointment of Maram Kokandi, the 1st Saudi female general manager in hospitality. Sustainable Tourism, Report, East Africa: interview with Inge Huijbrechts, Vice President of Responsible Business.